A highly obscure 48-minute short film from the Netherlands, released way back in 1990, To Play or to Die, based on a story by Anna Blaman and directed by Frank Krom, a former assistant to Paul Verhoeven who made his own cinematic debut here, is a still a powerful psychological drama, but feels a bit taboo when viewed through a modern lens. The film follows Kees (Geert Hunaerts), an introverted young boy who attends an all-male Dutch school where powerful bullies and sadomasochistic games are the stock in trade. Kees is fascinated by the extraordinarily handsome young Charel (Tjebbo Gerritsma), ringleader of the tormentors. Seeking to turn the tables and stem his victimization, Kees invites Charel back to his house while his parents are away. His plan is to take revenge… but Charel gets the upper hand. So begins a difficult and painful pas de deux with surprising results. 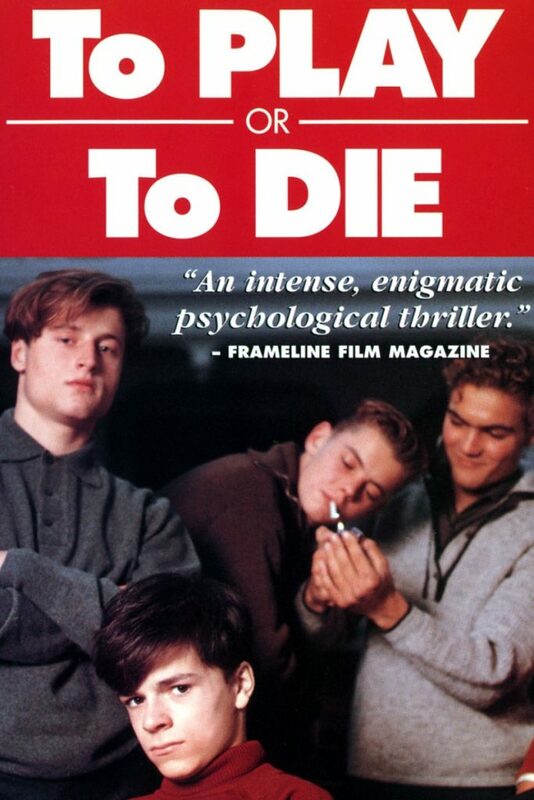 Back in 1990 when it was released, and still now, To Play or to Die recalls the memories of loneliness and victimization familiar to any gay teen and turns them into an intense and well-made thriller. Filmed with an unusual flair for such a small independent film, this hyperventilating, psycho-sexual drama was still able to keep us on edge (especially considering how long it has been since we had seen it). A simple premise goes a long way here, and while not at all homophobic, its theme of equating homosexual desire with madness and death is a sad, frustrating one – especially problematic coming from someone whom, at the time, seemed such a promising gay filmmaker. 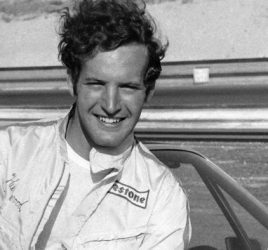 From what we can tell, Frank Krom is still working as a producer and director in Dutch television, but his output has been few and far between. We were happy to see that both lead actors Geert Hunaerts and Tjebbo Gerritsma are still working steadily today. For those curious, To Play or To Die is out of print on DVD, but you can stream it instantly here on VOD. It’s a rare find that is still worth a look, especially considering the short running time.